A UC Berkeley professor has been part of a network of researchers working to apply local anthropological knowledge in the fight to contain the most deadly Ebola outbreak in history. In the summer of 2014, UC Berkeley Anthropology Professor Mariane Ferme began collaborating with fellow anthropologists researching in Sierra Leone, Liberia, and the Republic of Guinea. Their goal was to understand how local communities were responding to international efforts to contain the Ebola Virus Disease (EVD) outbreak in the region, which had come to the attention of local health authorities earlier in the year. The efforts to contain the disease were not working, and some networks of anthropologists made the argument to the international community, as well as local non-governmental organizations, that they should leverage the untapped resource of anthropological expertise in the region to better understand how local populations perceive the emergency health interventions. Melissa Leach, from the Institute of Development Studies, and James Fairhead, from the University of Sussex, enlisted Ferme for her knowledge about social life in rural Sierra Leone. As it turned out, the world’s worst EVD epidemic on record was exploding in the same area where she had been conducting extensive fieldwork since the 1980s. Professor Ferme provided memos to the Ebola Response Anthropology Platform to be used in making actionable plans. She conveyed surprise that different emergency health intervention organizations, like the UK’s Department for International Development (DFID) or Doctors Without Borders (MSF), did not understand the importance of proper greetings in rural Sierra Leone. She stressed in one of her earliest memos that it was important to give a token of money to paramount chiefs in greeting at organizational meetings, as they would have to travel to come see health workers and political leaders in the middle of the health crisis. The international community was strangely worried about the corrupting power of money, but if they were serious about gaining the respect of the paramount chiefs, health workers and organizers would have to acknowledge that real barriers exist to traveling without access to monetary means, as they were putting the burden on the chiefs to come to them for education about how EVD spreads and how to stop it. These tokens did not need to be very much – maybe 10,000 leones or US$2.50 – but it would be disrespectful not to offer them. This was the moment that Professor Ferme realized just how few people actually conduct fieldwork in rural Sierra Leone and how little the international community understood how their own actions were perceived in the region. Understanding the local culture could not be abandoned because there was a crisis; the crisis was exactly the reason why understanding local culture was critical to the containment efforts’ success. Understanding the local culture could not be abandoned because there was a crisis; the crisis was exactly the reason why understanding local culture was critical to the containment efforts’ success. Ferme went on to collaborate with Njala University’s Paul Richards and other Dutch and Sierra Leonean colleagues on an article published by Public Library of Science’s Neglected Tropical Diseases division, emphasizing just how critical understanding local culture is to the success of the global health response to EVD. 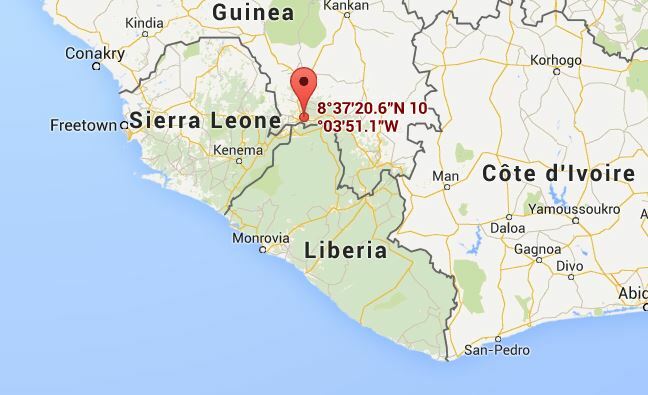 In the piece, “Social Pathways for Ebola Virus Disease in Rural Sierra Leone,” published in October 2014, Ferme and her colleagues focus on the fact that extended familial and exchange networks cross the borders of Sierra Leone, Liberia, and Guinea; that there is a history of violence in rural Sierra Leone that understandably has caused the local population to be suspicious of state authorities; and that more consideration should be put into understanding local practices of mourning. Local funereal practices, particularly the practice of washing the dead, was identified early as a high-risk factor for infection, but Ferme and her colleagues emphasized that health authorities needed to explain very carefully to local populations that these practices have encouraged the spread of EVD, as people are often unwilling to give up their practices of mourning, particularly in an atmosphere of fear during a health crisis. And, the authors argued, the different organizations and health authorities should engage with the rural community members more effectively to better understand how their demands are perceived. For example, when health officials urged family members act to get their relatives to clinics for treatment from Ebola, they did not necessarily take into account that, for villagers living in rural Sierra Leone, the expenses of traveling to a distant health center were often out of reach, or could inhibit their ability to protect the rest of their family from possible infection. It was in this rural region of northern Sierra Leone, a region characterized by intricate and cross-border familial and exchange relationships and lacking basic health infrastructure, that Ebola was able to spread, unnoticed by the health authorities, reigniting the outbreak that had been thought to be on the wane. The UN’s Mission for Ebola Emergency Response (UNMEER) was set up on September 19, 2014, more than nine months after the death of a two-year-old boy in the village of Meliandou, in the Republic of Guinea—a case recognized as the single index case of the outbreak. The reasons for this extremely delayed declaration of emergency in West Africa are many, but as the New York Times carefully chronicled, the fact that the EVD outbreak (according to the World Health Organization's March 25, 2015 situation report) has infected 24,907 people, killed a total of 10,326 people, and raged for nearly sixteen months is tied particularly to the actions (or mostly inactions) taken during the two month period between April and May 2014. Many have indicated that the West African EVD epidemic should be regarded as an alarm call to the international community to invest in strengthening health systems and infrastructure in areas like the Republic of Guinea, Liberia, and Sierra Leone, which are three of the least developed countries in the world. Medical Anthropologist and Partners in Health (PIH) co-founder Paul Farmer has argued that what has always been needed in West Africa is “the capacity to safely deliver excellent supportive care.” Since surviving Ebola means having adequate care—requiring the replacement of the roughly 10 liters of liquid a day that is lost during infection—the West African epidemic has shone a bright light on West Africa's lack of adequate health systems. Professor Ferme is in agreement with these critiques. In an era of global health development that focuses ever more on isolated interventions and “21st-century, tech-driven solutions,” the process by which the West African Ebola epidemic has unfolded shows how important it still is to pursue “20th-century public health interventions.” The West African Ebola outbreak represents strong evidence that basic health infrastructure should be a primary goal of international health development: as the local health infrastructure was overcome by the fight against Ebola, many populations avoided clinics for any other treatment, such as for malaria (which has many of the same symptoms as Ebola) or even to give birth, both out of fear of catching Ebola and also because they were turned away by health systems devoted solely to combatting one disease. As cases of infection and death decline in West Africa, but have not disappeared altogether, questions remain about what is to be done next, and how to move forward responsibly. Matrix has produced a three-minute video profiling the “Network for Adolescent Well-being and Development” (NAWD), a Social Science Matrix Project Team that ran during the 2016-2017 academic year. UC Berkeley postdoctoral researcher Jordan B. Leitner investigates the connections between health disparities and levels of racial bias within communities. Fighting stigma, helping orphans, and empowering women are popular areas of funding for AIDS-prevention efforts in Africa, but not because they are the most effective strategies.